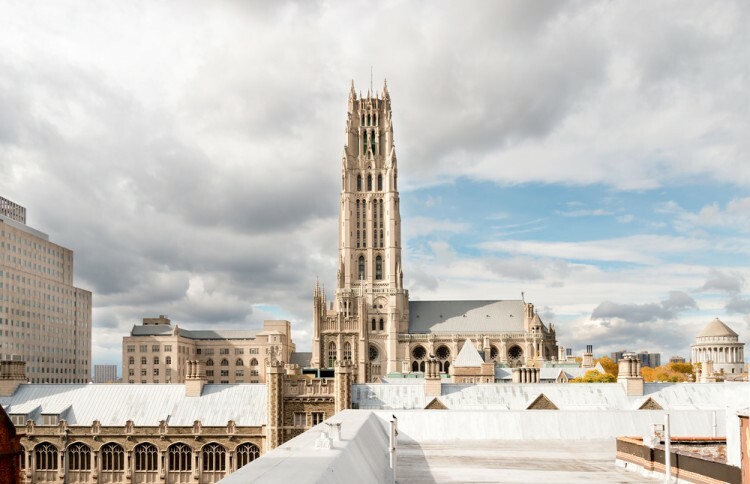 Church bells are ringing and now it’s time for the biggest churches in New York City. I’ve always noticed churches in my neighborhood. I just never knew why. Now that I am planning a wedding I know I was just preemptively scoping out these beautiful buildings. Okay, so not really–but still it takes a lot of searching to find the right church. Also, churches get booked up faster than five-star restaurants. There was more than one church I spoke to that is already booked full for the year and now booking 2018. Wow, some people are much better at planning than I am–or maybe better at praying? Could they have an inside track? It’s possible. Before this hunt I thought Catholics had the most beautiful churches–hands down (or in prayer formation). I still do. But Episcopals are not to be messed with–they have some amazing structures in which to worship. The only drawback is the fact that almost all of these churches charge thousands of dollars for you to get married in them. If you are a member of the church it is significantly less, but if not you’re looking at $2000-$5000+. A lower cost (free) option is to just attend a service at one of these places. Or you could take a tour. They are truly beautiful and speckled all over New York City. But which one is the biggest? Well, we have the list for you. You may also be interested in the 5 Fastest Growing Religions in Europe and The World. People from all around the world are traveling to New York City every year to see all of the amazing landmarks, including its many churches. That is why we decided to create a list of largest churches in New York City and show you which you should visit–if size is your thing. It wasn’t easy to create the list because the average number of weekly attendees is rapidly growing, but we managed to collect information from Hartford Institute For Religion Research for churches which are located in New York City and from Faithfully Magazine. The list was sorted by the average number of weekly attendees in each church. Please enjoy the 10 biggest churches in New York City.